For similarly named airline, see Iran Air Tours. Iranian Airways was founded in May 1944 by Reza Afshar and Gholam Ebtehaj. Post-war, its first passenger flight was from Tehran to Mashhad, followed by a Tehran-Esfahan-Shiraz-Bushehr-Abadan-Ahwaz service. In 1946 the airline established service to Cairo, Baghdad and Tel Aviv, and in April 1947, to Paris. Between 1945 and 1962, the airline became a major domestic carrier, also operating some international flights to Europe each week. The fleet consisted of Douglas DC-3s initially, supplemented by Douglas DC-4 and Vickers Viscount aircraft later on. In 1954, the privately owned airline Persian Air Services (PAS) was established. PAS initially operated only freight services, followed by passenger operations between Tehran and other major cities in Iran. In 1960, PAS initiated passenger service to several European destinations, including Geneva, Paris, Brussels and London, using Boeing 707 and Douglas DC-7 aircraft leased from Sabena. Iranian Airways was nationalized in 1961. On 24 February 1962, Iranian Airways and PAS merged to form the Iran National Airlines Corporation (HOMA), known as Iran Air, using the homa bird as a symbol. HOMA was a public sector venture that combined the two predecessor air carriers. Among the aircraft used were Avro Yorks, Douglas DC-3s, Douglas DC-6s and Vickers Viscounts. The carrier became a full member of the International Air Transport Association (IATA) in 1964. It was the launch customer for the Boeing 747SP. In 1965, Iran Air took delivery of its first jet aircraft, the Boeing 707 and the Boeing 727-100, followed by the Boeing 737–200 in 1971, the stretched Boeing 727-200 in 1974 and three variants of Boeing 747 (747-100, −200 and SP), starting in 1978–1979. By the mid-1970s, Iran Air was serving cities in Europe with non-stop and one-stop flights, including over 30 flights a week to London alone. On 29 May 1971, the Tehran to New York City route was inaugurated, using Boeing 707s making a stop-over at London Heathrow Airport. Shortly thereafter, the route was upgraded to a non-stop flight using Boeing 747SPs, making Iran Air the second Middle Eastern carrier (after El Al), to offer non-stop service to New York. With this flight, Iran Air set a new world record in time and distance for a non-stop, scheduled long-haul flight (12 hours and 15 minutes, 9,867 km – 6,131 mi – 5,328 nm). In 1978, the airline acquired six Airbus A300 aircraft for use on its domestic trunk and busy regional routes. By the end of that year, Iran Air was serving 31 international destinations stretching from New York City to Beijing and Tokyo. Plans were made to offer direct services to Los Angeles and to Sydney, for which the airline's long range Boeing 747SP aircraft were ideal. This would have allowed Iran Air to use Tehran as a midway point between East and West, because of its favorable geographical location. Such plans were never realized. Lt. Gen. Ali-Mohammad Khademi was the general manager of Iran Air from 1962 to 1979. As a result of economic sanctions against Iran, Iran Air was unable to expand or replace its fleet. Last time Iran Air was delivered brand-new Western aircraft prior to the 2016 lifting of nuclear-related sanctions was in 1994 when it received two Airbus A300-B4s in compensation for the downing of Iran Air Flight 655 by an American cruiser in 1988. In 2001, Iran Air purchased 6 second-hand Airbus A300s from Turkey, but only after two years, all 6 of them ended up grounded at airports in Tehran, Mashhad and Moscow. This caused significant controversy in Iran where officials cited GE engine design flaw and subsequent overheating as the reason for grounding the planes. One of these 6 planes was later confirmed to have returned to service by 2010. Prior to the separation of Iran Air Tours from Iran Air in 2011, Russian-made Tupolev Tu-154s formed the backbone of the former's fleet. However, several successive disasters involving this plane ultimately led to a 2011 blanket ban on its operations within Iranian airlines, including Iran Air Tours. The Tu-154 fleet was gradually replaced with MD-83s over the course of a few months. According to Iran's Deputy Minister of Roads and Urban Devopment, Iran currently has more than 100 planes, some of them owned by Iran Air, grounded due to the lack of access to new parts and technical expertise during the sanctions era. 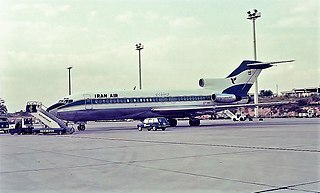 The prolonged period of time that Iran Air was under international sanctions and barred from purchasing spare parts and new planes led to a dramatic rise in its average fleet age and plunging safety record, to the extent where it became widely known as one of the worst airlines in the world in terms of air safety record. As of March 2017, Iran Air's average fleet age stands at 24.1 years, though this figure is set to improve through addition of new deliveries. Iran Air's extremely subpar on-time performance, amongst those of most other Iranian airlines, has led to public anger and frustration, often inciting protests in the form of violent confrontations with the airline employees or airplane sit-ins for many hours after a severely-delayed flight has finally landed. Officials routinely attribute the delays to the economic sanctions, although at least one pro-revolutionary ideologue has cited "inefficiency and mismanagement" as the chief cause of this issue. Technical stopover of an Iran Air Airbus A300B4-600R for refuelling during a London-Tehran flight, at Milan-Malpensa Airport. On 5 July 2010, an aviation official of Iran accused the U.K., Germany and the United Arab Emirates of refusing to refuel Iranian passenger jets. This move followed unilateral sanctions imposed by the US over the nuclear weapons dispute. Iran Air and Mahan Air both claimed to have been denied refuelling. A spokeswoman for Abu Dhabi Airports Company (ADAC) said that a contract was in place to refuel Iranian passenger flights and ADAC would continue to do so. A spokesperson for the United Kingdom Civil Aviation Authority said that it was the sole decision of independent suppliers if aircraft were to be refuelled or not. Germany's Transport Ministry said the refuelling of Iranian aircraft was not banned under EU or UN sanctions but did not say whether any independent refuellers were denying refuelling. Later in the day, Dubai Airport revealed that it continued to refuel Iranian passengers flights in and out of Dubai. The next day, a spokesperson for Iran said that no such limitation had been imposed. In January 2012, Iran Air's flights to and from London Heathrow operated with a fuel stop at Manston Airport in Kent. However, the airport announced in December 2011 that this arrangement was to end and it would no longer refuel the company's aircraft. This announcement swiftly followed the closure of Iran's embassy in London as the consequence of the ransacking of the British embassy in Tehran. The airport stressed that it had not breached any trade agreements, as it had no connections with the USA. In anticipation of a deal being reached for the lifting of sanctions, the chairman of Iran Air, Farhad Parvaresh, stated that the airline would then seek to obtain at least 100 wide-body and short-haul jets. On Friday 15 January 2016 US president Barack Obama authorized his secretary of state, John Kerry, to lift the sanctions on Iran civil aviation. Following Iran's implementation of the Joint Comprehensive Plan of Action on 16 January 2016, all sanctions on Iran civil aviation were lifted. As a result, Iranian airlines, including Iran Air, were granted permission to purchase new civil aircraft from any manufacturer as well as to refuel at all European airports, except for two Swedish destinations, Stockholm and Gothenburg, due to the fuel supplier BP still refusing to provide fuel to the Iranian carriers. On 24 January 2016 Tehran hosted the CAPA Iran Aviation Summit organised by CAPA - Centre for Aviation in order to bring both Iranian and international aviation authorities together for considering development plans for Iran's aviation industry. CAPA put the size of Iran's economy somewhere between those of Turkey and Australia, whose commercial airline fleets are in the order of 500-600 aircraft. Bombardier presented its regional models during the CAPA summit in Tehran. In a statement, Mr. Parvaresh announced that his airline expected to spend some 3-5 billion US dollars purchasing regional aircraft from manufacturers Airbus, Boeing, Bombardier and Embraer. On 8 May 2018, following US withdrawal from the Iran nuclear deal, and as part of the reinstatement of the United States sanctions against Iran lifted in 2015, US Treasury Secretary Steven Mnuchin announced the decision to revoke all Iran sales licenses already granted to plane manufacturers Boeing and Airbus after a 90-day period. It was announced that Iran Air had to cancel the order for Boeing aircraft due to President Trump's decision to reimpose sanctions against Iran, despite this it has been announced that Iran Air will still be receiving ATR aircraft. It has not yet been announced if Airbus aircraft will still be delivered. Any aircraft being delivered to Iran Air must be delivered within a 90 to 180 day period before the sanctions begin. While members of the Trump administration have advised European companies to stop doing business with Iran now, Federica Mogherini said the European aim was "maintaining and deepening economic relations with Iran. "The technical experts plan to propose ways to avert disruptions in air, sea and land transport from and to Iran and keep channels open for "effective banking transactions." Iran Air, in a similar fashion to all other Iranian airlines, mandates its female passengers and cabin crew to observe the Islamic dress code and fully cover their hair and body at all times, with a strong emphasis on wearing a headscarf or other permissible forms of Hijab. Although strictly observed on all domestic flights, this rule is rarely enforced on international flights for the duration of time that passengers are on board the plane. Iran Air is one of the few airlines in the world that, pursuant to the Sharia, does not serve alcoholic beverages on any of its flights. Moreover, there is no choice of non-Halal food selections, such as those containing pork, on Iran Air's menu. Iran Air serves destinations in Iran, India, the Middle East and Europe. Until 2016, Hajj charter operations formed a major part of Iran Air's annual activities. Every year, tens of thousands of pilgrims flew from major cities in Iran to Jeddah, Saudi Arabia's air gateway to Mecca, to take part in pilgrimage ceremonies. In 2016, due to escalating tensions between Iran and Saudi Arabia, all Hajj flights from Iran were suspended indefinitely. These flights resumed from 2017. McDonnell Douglas MD-82 1 — 12 140 152 EP-CBD is stored. In January 2016 Iran Air signed an agreement for 118 Airbus aircraft, consisting of several types of the manufacturer's twin-engine aircraft and 12 A380s. However, the order for the A380s were later cancelled. On 22 December 2016, Airbus announced a firm deal for 100 aircraft comprising 46 Airbus A320 /A320neo family aircraft; 16 A350s, and 38 A330s /A330neos. In January 2017, Airbus began the delivery process starting with an A321 followed by 2 A330-200s, all initially ordered by and built for Avianca but never delivered. In January 2018, the sales chief of Airbus signalled that the delivery of the orders placed by Iran Air could deviate from the original schedule due to financing and pre-payment obstacles. On 1 February 2016, Iran Air signed an agreement with aircraft manufacturer ATR, covering an order of twenty ATR 72-600 turboprop aircraft plus options for twenty more. Iran Air intends to use the ATR 72s as part of its strategy to expand its domestic market reach and to provide service to the smaller airports that are located in less populated cities of Iran. Deliveries were planned to begin in early 2017 but were delayed due to a stall in talks with the Canadian manufacturer of ATR power plants, Pratt & Whitney Canada, over after-sales support and maintenance for the engines. In the event, the first four aircraft were delivered in a single convoy on 16 May 2017. In June 2016, Iran Air officially announced that it was in talks with Boeing for a possible order "close in size to the 118 Airbus aircraft agreement". On 21 June 2016 Boeing announced it has signed a tentative agreement to sell jetliners to Iran, in what would be one of the Islamic Republic’s biggest deals with a U.S. manufacturer since trade sanctions on Tehran were eased. On 11 December 2016, Boeing announced a provisional order by Iran Air for eighty aircraft, subject to "contingencies [being] cleared"; the order comprises 50 737 MAX 8s, 15 777-300ERs and 15 777-9s. In June 2018, Boeing announced it will not be able to deliver any planes to Iranian airlines due to the sanctions. Airbus A300B4-200F 2 2008 Unknown Aircraft are currently stored. 3 aircraft are currently stored. Airbus A340-200 1 2007 2007 Leased and operated from by Conviasa. Avro York Unknown Unknown Unknown Operated by Persian Air Services prior to 1962 merger with Iranian Airways. Beechcraft Model 18 Unknown Unknown Unknown Operated by Iranian Airways prior to 1962 merger with Persian Air Services. Boeing 727-200/Adv 5 Unknown 2014 3 aircraft are currently stored. Boeing 747-100B 6 1974 2014 EP-IAM is currently stored. Boeing 747-100SF 3 1983 1986 Disposed to Iran Air Force. Boeing 747-200F 4 1980 2004 EP-ICC is currently stored. Boeing 747-200M 3 1976 2016 EP-IAG and EP-IAI are currently stored. Boeing 747SP 4 1976 2016 All aircraft are currently stored. On 8 October 1972, Iran Air placed an order with British Aircraft Corporation for two Aérospatiale-BAC Concorde supersonic jets plus an option for one, rendering it the last airline to place Concorde orders for commercial use. However, Iran Air - having had briefly chartered one Concorde jet on flights between Tehran and Paris - cancelled these orders in April 1980. Iran Air Tours was founded in 1973 as a wholly owned subsidiary of Iran Air, focusing on charter flights and tourism. In 2011, the company was purchased by Hesayar Cooperative Company, itself a subsidiary of the Ministry of Defense and Armed Forces Logistics. However, Hesayar failed to meet its financial commitments and the airline prompty returned to private hands in 2016. Homa Hotel Group was founded in 1979 by the Government of Iran after it completed a nationalization of the hotel industry. As of 2016, it was owned by Iran's Social Security Organization. Before the two companies merged in 1962 to form Iran Air, Iranian Airways and Persian Air Services had several aircraft hull losses. Iranian Airways lost six Douglas DC-3s in crashes and a fire between 1949 and 1959; and one of its Douglas DC-4s was shot down in 1961; while Persian Air Services lost three Avro Yorks in crashes and a maintenance accident between 1955 and 1959. Since 1962, Iran Air has had more than a dozen aircraft hull losses in crashes and the shooting-down of Iran Air Flight 655; the airline has also experienced twenty hijacking incidents on its aircraft. 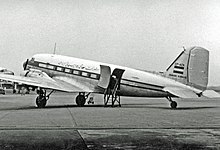 On 14 September 1950, an Iranian Airways Douglas DC-3, registration EP-AAG, bound for Saudi Arabia, crashed shortly after taking off from Tehran Mehrabad International Airport. The nine people on board, all employees of the airline, were killed. On 25 December 1952, an Iranian Airways Douglas DC-3 with twenty-one passengers and a crew of four on board crashed while on approach to Tehran airport. There was one survivor. On the evening of 21 January 1980, a Boeing 727-100 operating as Iran Air Flight 291 hit high ground north of Tehran in a snowstorm during its landing approach to Tehran's Mehrabad Airport, after the pilot failed to follow the correct path to the runway. All 128 passengers and crew on board were killed. On 3 July 1988, Iran Air Flight 655 was flying over the Persian Gulf on its way to Dubai from Bandar Abbas. According to the U.S. version of events, the crew of the United States Navy cruiser USS Vincennes mistook the airliner for an Iranian Air Force Grumman F-14 Tomcat jet fighter and the cruiser shot the airliner down with a missile, killing all 16 crew and 274 passengers. Iran maintains it was an intentional act of barbarism. On 9 June 1996 a Boeing 727-200 on a pilot training flight landed on its belly at Tehran's Mehrabad Airport on its fifteenth touch-and-go landing in a series, after the crew forgot to extend the landing gear. The aircraft slid for more than 2 kilometres (1.2 mi; 2,200 yd) along the runway; instead of allowing the aircraft to stop the crew lifted it off again and it circled the airport to return for a landing with the gear extended. While circling, a fire broke out in the aircraft's rear fuselage, damaging its flight control systems. As the aircraft neared the ground it rolled left; the wing hit the ground and the aircraft crashed in a field, killing four of the seven crewmembers on board. On 2 January 2008, Iran Air Fokker 100 EP-IDB carrying 100 passengers skidded off the runway after its wing caught fire, when taking off for a domestic flight to Shiraz International Airport from Mehrabad Airport. No one was injured in the accident, which happened amid heavy snowfall at the airport. On 18 November 2009, Iran Air Fokker 100 EP-CFO suffered an undercarriage malfunction on take-off from Isfahan International Airport. The aircraft was on a flight to Mehrabad Airport, Tehran when the undercarriage failed to retract. The aircraft landed at Isfahan but was substantially damaged when the left main gear collapsed. There were no casualties in this event. On 15 January 2010, Iran Air Fokker 100 EP-IDA, operating Flight 223 was substantially damaged when the nose gear collapsed after landing at Isfahan International Airport. There were no casualties in this accident. On 9 January 2011 Iran Air Flight 277, a Boeing 727-200 (registration: EP-IRP) originating from Tehran, crashed near its destination city of Orumiyeh, 740 kilometres (460 mi) northwest of Tehran, during an attempted go-around in poor weather. It was carrying 105 people, of whom at least 77 were killed. On 18 October 2011 a Boeing 727-200 (registration: EP-IRR) operating a flight from Moscow as Flight 742 landed with the nose landing gear jammed in the retracted position at Mehrabad International Airport. Nobody was hurt in the accident. On 19 March 2019 a Fokker 100 (registration: EP-IDG) had an emergency landing with its main landing gear not extended at Mehrabad airport. Nobody was hurt in the accident. ^ a b c "Iran Air Fleet Details and History". planespotters.net. ^ a b Palt, Karsten. "IATA & ICAO Airline Codes - flugzeuginfo.net". www.flugzeuginfo.net. ^ "IranAir Official Site". www.iranair.com. ^ a b c d e f "IranAir Portal". Retrieved 24 April 2015. ^ a b c d e Atrvash, Abbas. "The History of Iranian Air Transportation Industry". Iran Chamber Society. Retrieved 24 April 2015. ^ Co., MehrYasan. "SkyGift". www.skygift.ir. ^ a b "IranAir Cargo". cargo.iranair.com. ^ "Opening of IranAir Catring". news.iranair.com. ^ a b "IranAir Official Site". www.iranair.com. ^ "Iran Air - Official website of Iran Air "Homa" in Scandinavia". iranair.se. ^ "Achaemenid Persian Griffin Capital at Persepolis - archaeolog". web.stanford.edu. ^ a b c d "World Airline Directory". Flight. Vol. 79 no. 2718. London: Iliffe Transport Publications. 13 April 1961. p. 503. Retrieved 15 January 2017. ^ "Boeing 747SP Production List". planespotters.net. ^ "Eminent Persians: Ali-Mohammad Khademi". Retrieved 10 November 2018. ^ a b Zhang, Benjamin (29 January 2016). "Airbus just sold Iran $25 billion worth of jets including a dozen A380s". Singapore: Business Insider. Retrieved 4 February 2016. ^ "On Location: Interview with Iran Air CEO on New Airbus and Boeing Orders - Airways Magazine". 12 January 2017. ^ "Airbus and Boeing are bailing Iran out of a huge problem". ^ "BBC فارسی - اقتصاد و بازرگانی - هواپیماهای زمین گیر شده ایران پرواز می کنند؟". ^ "Iran to Ban Tu-154 Flights". ^ "Iran bans Russia's Tu-154 planes". ^ "Iran Air Moves Away From Tupolev Towards Boeing". Flying With Fish. 15 October 2010. ^ "IranAir Official Site-IranAir_Portal-Over 100 Iranian airplanes still grounded". www.iranair.com. ^ Delforoush, Ali (5 September 2009). "Iran's "Flying Coffins"". ^ "Top 10 Most Dangerous Airlines - TravelVivi.com". www.travelvivi.com. ^ "Ancient jumbo jet part of the problem for Iran airline's vintage plane fleet". 3 December 2013. ^ "Iran Air Fleet Details and History". m.planespotters.net. ^ McDonnell, Patrick J. (1 March 2015). "Iran's airline passengers are mad and aren't taking it anymore" – via LA Times. ^ "Britain, Germany and UAE refuse to refuel Iran planes". Telegraph.co.uk. 5 July 2010. Retrieved 24 April 2015. ^ "Iran says its passenger jets were refused fuel abroad". BBC News. Retrieved 24 April 2015. ^ "Dubai airport continues to refuel Iranian planes". Retrieved 24 April 2015. ^ "Iran rejects claim that planes were denied fuel". BBC News. Retrieved 24 April 2015. ^ Reed Business Information Limited. "Latest EU blacklist bans Iran Air A320s and 747s". Retrieved 24 April 2015. ^ "EU imposes flight ban on Iran Air over safety". BBC News. Retrieved 24 April 2015. ^ "Iran Air to cease refuelling in EX-YU". EX-YU Aviation News. ^ "Iran Air ends Belgrade technical stop". EX-YU Aviation News. ^ "Manston airport stops refuelling Iran Air flights". BBC News. 1 December 2011. ^ Hepher, Tim (10 July 2015). "Planemakers poised for Iranian buying spree if nuclear deal reached". Paris/Vienna: Reuters. Retrieved 4 February 2016. ^ "Obama lifts ban on selling passenger planes to Iran". Retrieved 25 June 2016. ^ "IranAir Official Site-IranAir_Portal-Iran Air Resumes Refueling in W. Europe". Retrieved 25 June 2016. ^ "CAPA Iran Aviation Summit opens in Tehran – huge opportunities ahead, with some challenges". ^ Motevalli, Golnar; Kamel, Deena (25 January 2016). "Iran Air Sees Adding 20 Regional Jets, as Bombardier Makes Pitch". Bloomberg. Bloomberg LP. Retrieved 25 January 2016. ^ "New Iran sanctions will kill billions in jet sales. Boeing is ready". CNN Money. ^ "EU sticks to nuclear deal and focusses on trade with Iran". Bloomberg. ^ Sciolino, Elaine (25 September 2001). "Persian Mirrors: The Elusive Face of Iran". Simon and Schuster – via Google Books. ^ http://www.abacusmultimedia.com, Abacus Multimedia -. "Iran Air - Airline Review. Flying the world's oldest planes". www.destinationtravel.info. ^ a b "Major Airlines that Don't Serve Alcohol - ShawnVoyage". 7 April 2014. ^ a b "7 Major Airlines That Do Not Serve Alcohol - Modern Muslim Lifestyle Portal". 16 November 2015. ^ a b "Iran Air Deals, Iran Air News, Iran Air ratings and reviews, pictures. Find Iran Air Deals on Vayama". vayama.us. ^ "Iranian pilgrims won't attend hajj amid row with Saudi Arabia". The Guardian. Guardian News and Media Limited. Reuters. 30 May 2016. Retrieved 6 January 2017. ^ "Profile on Iran Air". CAPA Centre for Aviation. Archived from the original on 2016-10-31. Retrieved 2016-10-31. ^ a b c d e f "Iran Air Fleet Details and History". Planespotters. 5 August 2018. Archived from the original on 28 March 2017. Retrieved 15 January 2017. Included in the fleet list are twelve stored Fokker 100s. ^ "Airbus A300B2 Production List". planespotters.net. ^ "Iran Air, added three secondhand Airbus A319 jets to its fleet". Financial Tribune. 25 February 2019. Retrieved 25 February 2019. ^ a b "Iran took delivery of its 1st Airbus 321 Passenger Plane". Reuters. 11 January 2017. Retrieved 11 January 2017. ^ "Iran Air receives its first A330-200 as fleet upgrade continues". Airbus. 10 March 2017. ^ "From the A320 to A380: Iran Air selects the full Airbus jetliner portfolio for its fleet modernization" (Press release). Airbus. 28 January 2016. Archived from the original on 10 July 2016. Retrieved 25 June 2016. ^ "Iran Air's fleet order signals serious intent for the Iranian aviation industry". Centre for Aviation. Retrieved 25 June 2016. ^ "Iran Air and Airbus seal historic aircraft order" (Press release). Airbus. 22 December 2016. Retrieved 22 December 2016. ^ a b Spaeth, Andreas (12 January 2017). "On Location: Interview with Iran Air CEO on New Airbus and Boeing Orders". Airwaysmag. Airways International, Inc. Retrieved 17 January 2017. ^ "A Look Inside Iran Air's Newest A321 and A330-200 Aircraft". The Points Guy. ^ "Iran Air Awaits New A330 Delivery". 28 January 2017. ^ "Iran Air receives second A330". 25 March 2017. ^ "Iran jetliner deal could take longer to complete, Airbus says". Reuters. 15 January 2018. ^ Chini, Amin (9 March 2017). "IranAir Expects Delayed ATR Deliveries amid Row with Canada". ^ "Iranair could buy Boeing planes but any deal faces hurdles". euronews. Retrieved 2016-06-09. ^ Wall, Robert (21 June 2016). "Boeing Signs Deal to Sell Jets to Iran's State Airline". Retrieved 25 June 2016 – via Wall Street Journal. ^ "Boeing, Iran Air Announce Agreement for 80 Airplanes" (Press release). Boeing. 11 December 2016. Retrieved 11 December 2016. ^ "First Iran aircraft delivery now due in 2019 - Muilenburg". ch-aviation. 27 April 2018. Archived from the original on 2018-04-28. Retrieved 2018-11-28. ^ "Boeing says it will not deliver any aircraft to Iran". english.alarabiya.net. Retrieved 2018-06-06. ^ "World Airline Directory". Flight. Vol. 71 no. 2519. London: Iliffe and Sons Ltd. 3 May 1957. p. 609. Retrieved 15 January 2017. ^ a b c d e "World Airline Directory". Flight. Vol. 71 no. 2519. London: Iliffe and Sons Ltd. 3 May 1957. p. 604. Retrieved 15 January 2017. ^ "CONCORDE SST :ORDERS". www.concordesst.com. ^ "The Iranian Concorde". 28 February 2009. ^ "Iran Airtour Airline". iat.aero. Archived from the original on 2016-12-25. Retrieved 2016-12-27. ^ "Homa Hotel Group". Tourism Holding of Tamin Ejtemaei. Archived from the original on 2016-12-29. Retrieved 2016-12-27. ^ Accident description for Douglas C-47B-20-DK (DC-3) EP-ACI at the Aviation Safety Network. Retrieved on 11 January 2017. ^ a b Accident description for Douglas C-47A-30-DL (DC-3) EP-AAG at the Aviation Safety Network. Retrieved on 28 December 2016. ^ Accident description for Douglas C-47A-25-DK (DC-3) EP-AAJ at the Aviation Safety Network. Retrieved on 11 January 2017. ^ a b Accident description for Douglas C-47A-35-DL (DC-3) EP-ACJ at the Aviation Safety Network. Retrieved on 4 January 2017. ^ Accident description for Douglas C-47A-20-DK (DC-3) EP-ACV at the Aviation Safety Network. Retrieved on 11 January 2017. ^ Accident description for Douglas C-47A-20-DL (DC-3) EP-ACL at the Aviation Safety Network. Retrieved on 11 January 2017. ^ Accident description for Douglas DC-4 EP-ADK at the Aviation Safety Network. Retrieved on 11 January 2017. ^ Accident description for Avro 685 York C.1 EP-ADA at the Aviation Safety Network. Retrieved on 11 January 2017. ^ Accident description for Avro 685 York C.1 EP-ADB at the Aviation Safety Network. Retrieved on 11 January 2017. ^ Accident description for Avro 685 York C.1 EP-ADE at the Aviation Safety Network. Retrieved on 11 January 2017. ^ "Iran Air occurrences". Aviation Safety Network. Flight Safety Foundation. Retrieved 11 January 2017. ^ Accident description for Boeing 727-86 EP-IRD at the Aviation Safety Network. Retrieved on 28 December 2016. ^ International Court of Justice. Aerial Incident of 3 July 1988 (Islamic Republic of Iran v. United States of America) — Iranian submission: Part IV B, The shooting down of flight IR 655[dead link], para. 4.52–4.53. Accessed 2007-01-20. ^ Accident description for Iran Air Boeing 727-286 EP-IRU at the Aviation Safety Network. Retrieved on 4 January 2017. ^ "Accident: Iran Air F100 at Isfahan on Jan 15th 2010, nose gear collapse on landing". Aviation Herald. Retrieved 17 January 2010. ^ "Iran Passenger Plane "Crashes" Near Orumiyeh". BBC World News. Retrieved 9 January 2010. ^ "Iran Air ace forced to land without nose gear (VIDEO)". Retrieved 25 June 2016. Lloyd Aéreo Boliviano S.A.M., was the flag carrier and principal airline of Bolivia from 1925 until it ceased operations in 2010. Before its demise it was headquartered in Cochabamba and had its main hubs at Jorge Wilstermann International Airport and Viru Viru International Airport. Founded in September 1925, it was the second oldest airline in South America after Avianca and one of the oldest airlines in the world. Iran Airtour is an airline based in Tehran, Iran. The airline mainly operates under the English name Iran Airtour as written in Persian. Iran Airtour was established as a subsidiary of Iran Air and operates scheduled domestic services and international services in the Middle East as well as Eastern Europe, as well as charter services. Now Iran Airtour has more than 280 flights every week. Isfahan International Airport (Persian: فرودگاه اصفهان‎ – Farūdegāh-e Eşfahān) is an international airport serving the city of Isfahan, Iran. Iran has several private and public airline companies in operation. The oldest is the Iranian Airways Company, founded in 1944. Shahid Hasheminejad International Airport is an international airport located in Mashhad, Razavi Khorasan, Iran. Iran Air Flight 291 was a flight from Mashad Airport to Tehran-Mehrabad Airport that crashed on January 21, 1980 during its approach to Tehran-Mehrabad runway 29 in foggy and snowy weather conditions, killing all 128 people on board. At the time, Iran Air Flight 291 was the deadliest aircraft disaster in Iranian history. Zagros Airlines is an Iranian airline headquartered in Tehran and based at Abadan International Airport.